2019/2/27 [Journals] Current Herpetology 38(1) published. 2018/12/17 [Misc.] 9th World Congress of Herpetology is going to be held in January 2020 at Dunedin, NZ. 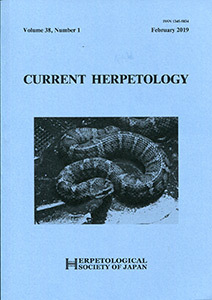 Notice: WAIT 2 YEARS for uploading Current Herpetology PDF offprints! 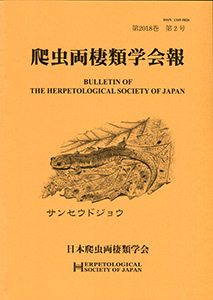 Copyrights of articles published in Current Herpetology belong to the Herpetological Society of Japan. Uploading the PDF offprints within two years from the publication to the ResearchGate site or any other websites open to free downloading by the general public is an obvious violation of copyright transfer agreement which the authors sign before their publication. Please wait two years for making PDF offprints accessible on websites. WCH9 is going to be held in January 2020 at Dunedin, New Zealand. See WCH9 website for details including important dates.